I am using a zybo-Z7-20 board and specifying VHDL. I have successfully completed the design and can modify the 'C' code in the xilinx SDK using the zynq processor. I am having trouble attempting to complete the same feat using a MicroBlaze processor. The fatal problem occurs in step 5.3 when generating the Bitstream. In various attempts the errors center around 2 unassigned ports. Here is the latest. [DRC NSTD-1] Unspecified I/O Standard: 2 out of 11 logical ports use I/O standard (IOSTANDARD) value 'DEFAULT', instead of a user assigned specific value. [DRC UCIO-1] Unconstrained Logical Port: 2 out of 11 logical ports have no user assigned specific location constraint (LOC). I have attached the full error and block design. Using the Microblaze soft core processor on a ZYNQ fpga is not trivial. 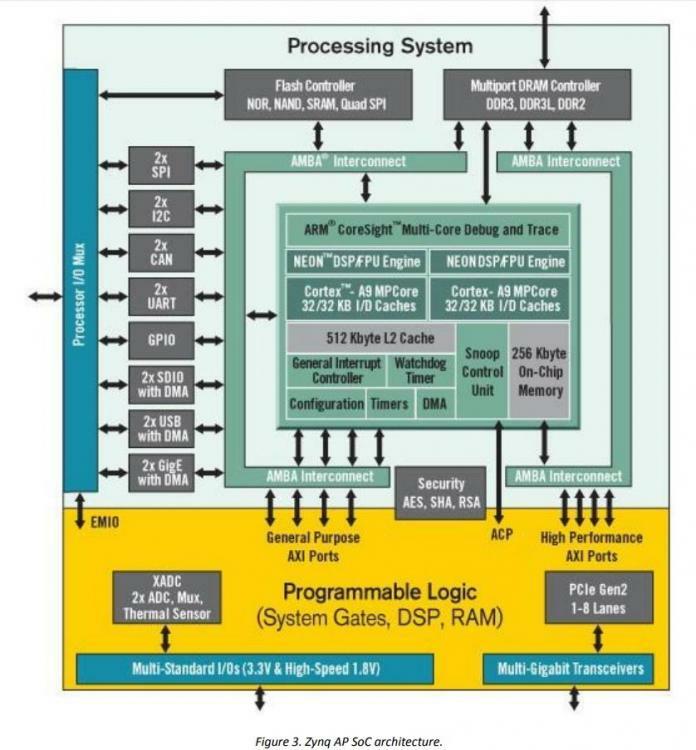 The ZYNQ processor is tied to certain components as showing in the attached image below. Is there a reason you are trying to using the Microblaze processor on a ZYNQ fpga instead of the ZYNQ processor? I have not used Microblaze in a ZYNQ design as of yet. Here is a non-digilent tutorial Hello World on Microblaze UART on PS in Zynq Processor that might be helpful. To be frank, I wanted to try the MicroBlaze on my Zybo Z7 only because the getting started web page said it could be done and thought it would be instructive. The real goal is to implement the Microblaze on a Cmod-A7. I must agree the Zybo MicroBlaze is not trivial... Having said that, there is a recipe on the a fore mentioned Getting Started web page that says it can be done and here's how to do it. I mention this because as an unsuspecting newbie I tried for a few days to get it to work. Many thanks for your answer confirming the Microblaze configuration task is best left to non-zynq boards. Could you clarify which getting started guide led you to believe that you could readily use MicroBlaze on a Zybo-Z7? We would like to be able to correct that language if it is on one of our tutorials; the IPI tutorial you linked to (from what I can tell) separates between the Zynq and Microblaze processes. Step 1.5 clearly shows the procedure was leveled at a zybo. Step 4.2 the reader is given a choice between a Zynq or Microblaze. In my attempts at the procedure, I was able to successfully use the Zynq recipe, but was unable to get the Microblaze to work. In the instructions for 4.2, it says only use the microblaze for boards without a zynq.